InXile's Brian Fargo believes Valve and Steam rescued PC gaming from "the dark ages." PC gaming is dead. For years this was the proclamation of countless gamers and would-be industry prophets who saw the PC gaming market as a waning market kept alive only by a shrinking group of platform devotees that was doomed to dwindle away until only consoles remained. Years later, PC gaming is bigger and healthier than ever been with revenues up and many core gamers choosing it over the plug and play ease of consoles. The secret behind its resurgence? 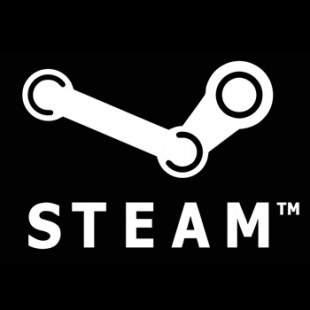 According to inXile's Brian Fargo, the answer can be summed up in one word: Steam. "They're the saviors of the PC as far as I'm concerned," said Fargo in a recent interview. "They've been great. You think about where we all were, kind of in the dark ages, when there was nothing. There was just flash. There was no digital distribution. They've opened up a way to get directly to the audience in a way that isn't politicized, or forces us to do exclusives or all the other things the console guys do." Fargo would likely have no trouble finding people who agree with him. Since its initial unveiling back in 2002 the service has grown and expanded into PC gaming's premier digital distribution service. By January 2014 the service has accumulated more than 75 million active users, a number that's likely to keep growing as more time passes. The size of its audience aside however, Fargo believes that a big part of Steam's success has been the way that Valve allowed the service to develop into an open and welcoming place for developers to sell their games. "[The console makers] put al sorts of guns to our head," said Fargo. "Valve has all this power but they don't wield it. They let us work in an open system. So for that I can't say good enough things about them." What's your take on the state of PC gaming? Do you fall in line with Fargo and his view of Steam as its "savior" or would you say there's other factor's at play in its rise back to the top?